Silver Sage Village is an adult cohousing community with a common vision of aging in community and supporting one another while striving to live together with compassion, generosity and respect. 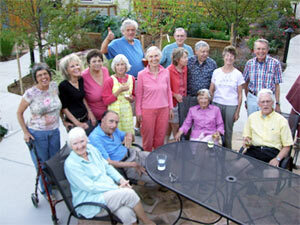 We come together from diverse backgrounds and a variety of life experiences. We hope to meet the challenges that this brings by striving for mutual understanding founded on respect, caring and kindness. We also appreciate that our differences bring valuable resources that enhance our experience of living in community, and we value the contribution of every member. We are committed to establishing a balance between our private lives and our contributions to the common good, thereby creating a beautiful place and supportive community in which to live and share with one another.